People are always trying to sell you a magic pill to get you leaner, faster, stronger. But as far as training is concerned, a long-term vision is far better. 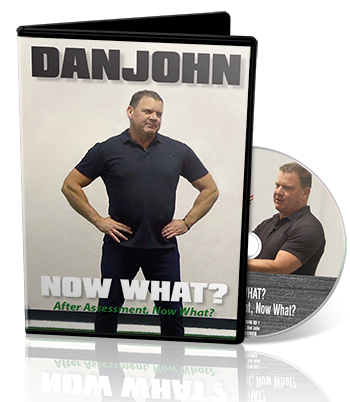 Today we’re going to talk about “Now What?,” which to me is the key to everything in life. “Now what?” is the problem in coaching; it’s the problem in relationships. It’s that wonderful scene from Four Weddings and a Funeral where the guy figures out why people get married. There’s a lapse in the conversation, so what do you do? Let’s get married. Gives you something to talk about. It’s true. 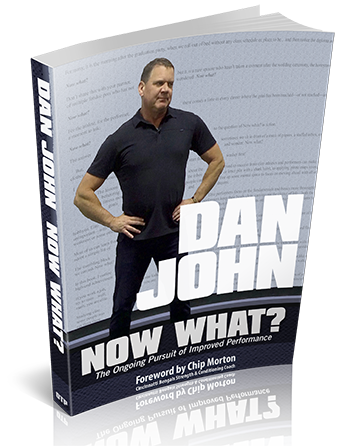 In our business, in coaching and in life, it’s all about “now what.” I’ll give you a hint though, the best way to get started in this career, in fitness and coaching, is to spend some time listening to economics. This is one of my favorite books from the last few years, Think Like a Freak. When I read the book, I felt like they were looking inside my head the whole time. Knowing what to measure simplifies life. If you’re a personal trainer, if you measure waistline, I always recommend measure it in centimeters because if they’re at 104 centimeters and you get them down to 99, it sounds a lot better than 43 and 13/15ths down to 41. 104 to 99 sounds good. If I go 104 to 99, then I go to 98, and then I go to 97, we are measuring something that’s improving. That’s why I love track and field as a coach. If I throw the discus 180, we add a drill or a lift, and it goes 185, we’re right! Knowing what to measure simplifies life. Yes. Our boys lifted more. Our girls lifted more. Therefore, we are stronger. He’ll ask the follow-up question, which is a whole other workshop. You asked me if they’re stronger—I didn’t say better. Nobody knows what the lymphatic system is, so in fact, I would tell you with all your clients from now on, train the lymphatic system when you don’t know what to do. If your heart’s not beating, call 911. Cardio’s when your heart beats, that’s good, that’s what you want. Arm day, leg day, ever since the middle ’70s when that book came out that told everybody to train like Frankenstein—that’s not a good way to train athletes. Finally, fear of the obvious—most people are deathly afraid of the obvious, to get stronger, lift weights. To throw the discus farther, throw the discus more. Another fine book that I’d like to also recommend is The Tao of Warren Buffett. It’s a fabulous book. It talks about holding onto things for a long time, sticking to a plan. Fitness and finance go hand in hand. They are very close. People are always trying to sell you a magic bullet to make a million dollars overnight. People are trying to sell you a magic pill to get you leaner, faster, stronger. The truth is, in both areas, a long-term vision is far better. I base all of my coaching on this great quote from one of my heroes in this field, Percy Cerutty. If you’ve read my work, you’ll know I’m a big fan of what he says. Back in the ’60s, he used to have his runners lift weights. It was just such a shock then. He also told them to eat foods like oatmeal because it’d be good for them. Everyone thought he was a lunatic, and now everything he coached is pretty normal. While work does do things, it is intelligent work that does superior things. I spend my time constantly trying to become more intelligent as a coach. Intelligent work, more efficient technique. It’s funny because I have that written there: injury avoidance. People ask me, “How do you deal with injuries?” I don’t get people hurt in the first place! If you have something in your gym that’s hurting people, take it out. First rule is do no harm. All the “er” words—faster, longer, stronger, fitter—that’s what intelligent coaching will bring you. A longer youth. My cohorts, the people I train with, work with a lot of people who are my age. They say, “Dan, you’re a little different than most people close to 60.” It’s because I’ve been training a long time. I use the Warren Buffett strategy towards fitness, not the overnight miracle. when you have the big questions.